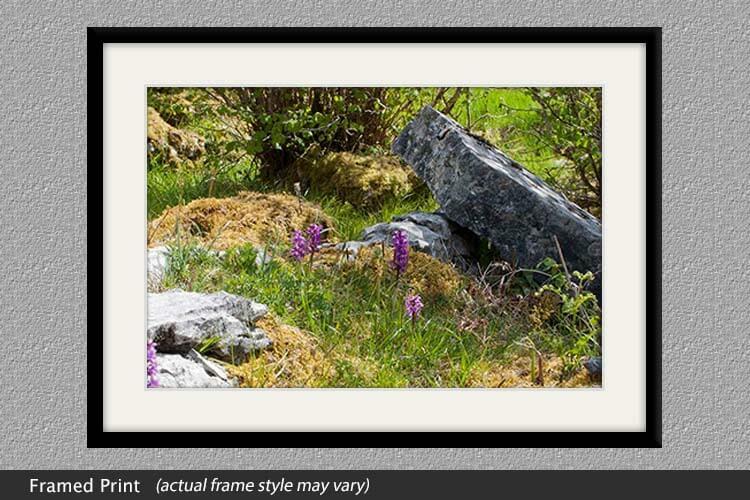 The Early Purple Orchid is found in abundance among the limestone pavement rocks in the Burren. This area of outstanding natural beauty is located on the West coast north of the Shannon estuary and just south of the city of Galway. 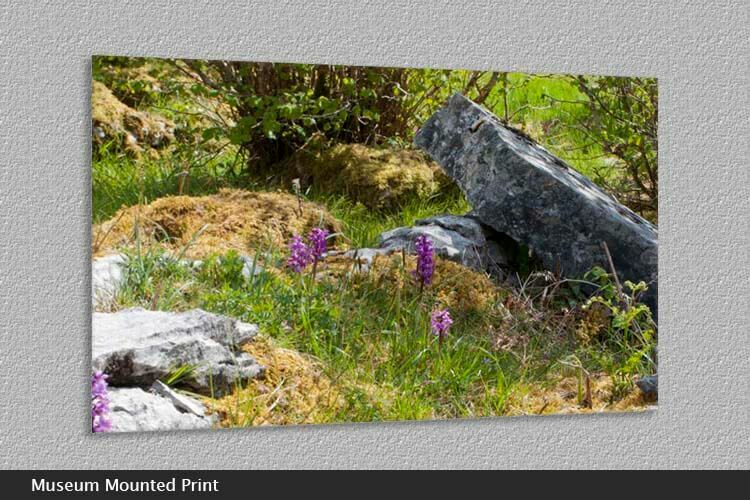 Of all the wild flowers in the Burren, 24 species of orchids are known to exist here. 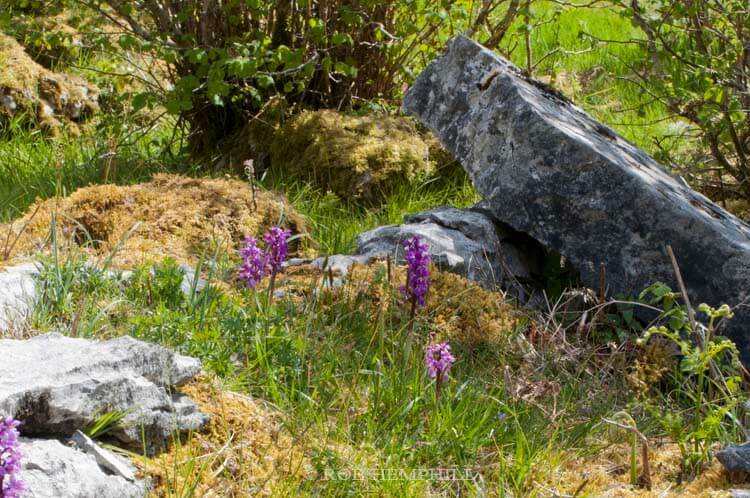 Beginning around April every year with the flowering of the early purple orchid, and ending in September with the intricate flowering spikes of the autumn lady’s tresses, these beautiful little flowers provide a rich and fascinating attraction in the summer pastures of the Burren.